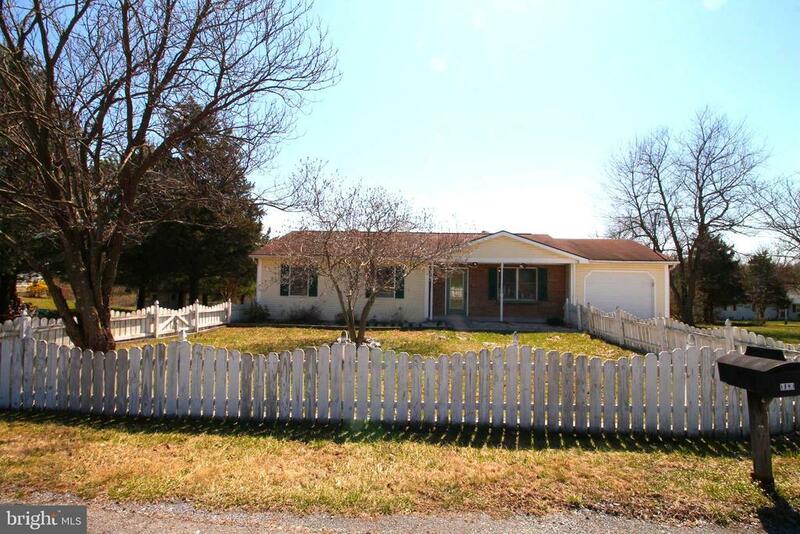 One-level living Ranch home in South Berkeley County. This home has a country setting on a 1.6-acre lot, that features a large backyard that backs to trees. Kitchen has granite countertops, backsplash and pantry style cabinets that pull out. Master bedroom has a private bathroom. The back of the home has a nice sized covered back deck. The front of the home has a porch with a picketed fence and flowers. The back yard features two sheds - one that is large which would be great for hobbies/games as it has electricity, in addition to room for storage. Only 2.5 miles away from Amazon, 10 minutes to Clearbrook Park, 20 minutes to South Jefferson Park, Nice commuter area, close to I-81. Much of the home has been freshly painted. Directions: I-81 to the Whitehall, VA (Flying J) exit, head east toward Rt. 11, then make a left turn at the light (in front of Amazon), cross over the WV State line, turn right onto Speck's Run Rd, follow until you come to Avanti right turn, take Choirloft on the left, the house will be on the right side - see sign.